This basic Overnight Oats recipe is easy to follow, plus it’s one of the quickest healthy breakfasts you can make. 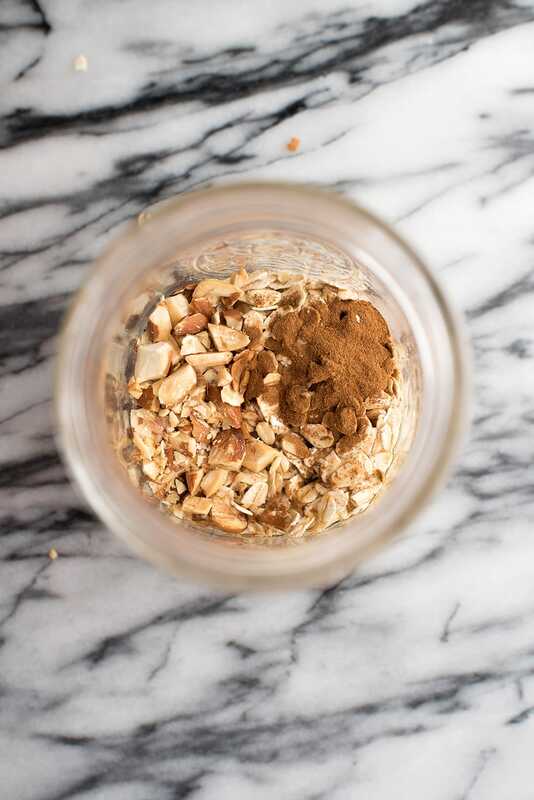 Once you’ve gathered all the ingredients for your overnight oatmeal in a jar, this recipe takes just one minute to make. Possibly less. Overnight oatmeal is different from your traditional oatmeal recipe. Instead of using heat to cook the oats, you cover them in water or milk. As they sit overnight in the fridge, the oats absorb the liquid and soften, which “cooks” them. Although “cold oatmeal” might not sound too appetizing, it really is just as good! Try my basic overnight oats recipe below to get acquainted with this new kind of breakfast, or get creative with ingredients, like we did with these Peanut Butter Chocolate Overnight Oats! You only need a few things to make the basic recipe: a glass jar (like a Mason jar), oats, and liquid, like water, milk, or even yogurt. (See, so healthy!) After that, you can get creative! Add, chocolate, caramel, the tears of your ex boyfriend. Really, anything works here. Add the ingredients into a glass jar, put the lid on, shake, and stick it in the fridge until the morning. And…that’s it! That’s all you have to do to have cold oatmeal in a jar ready for you to devour in the morning. I should let you know I like my oats thick. Like turn the Mason jar over and they don’t move thick. Do you also like the texture of concrete? Didn’t eat cereal with milk until your late 20s? Want to be best friends? Also, you’ll want to follow the 1:1 ratio and stick with the ½ cup of liquid. Looking for something creamier and more porridge-like? Go up to 1 cup for a 2:1 ratio of liquid to oats. Some people also like to add pinch of salt. I don’t. I am a salt fiend, but I don’t like it in my oats. I like my cold overnight oats cold. Weird, right? What kind of science experiments are we doing here? 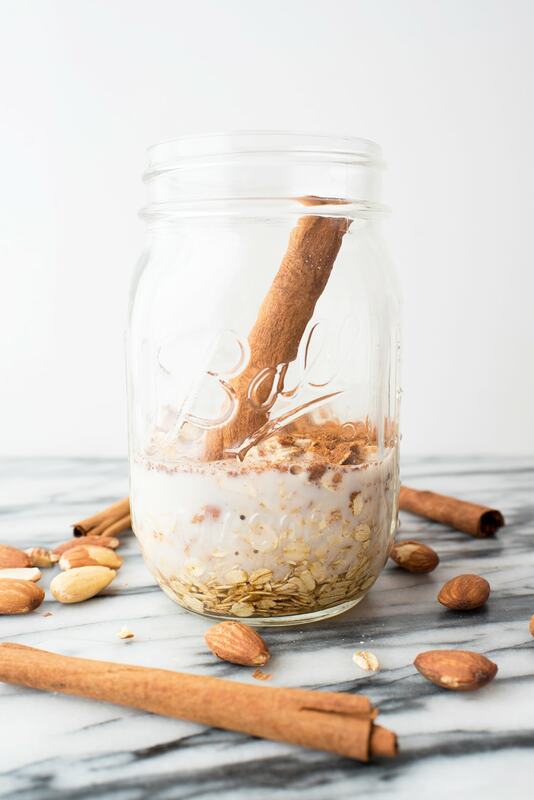 If you store your overnight oats in a jar — meaning a well-sealed, airtight jar container, they should last you in the fridge for up to 5 days, though they’ll continue to absorb liquid during that time. If they’re green, obviously don’t eat them. Unless you put matcha or spirulina in your recipe, in which case they’re probably fine, minus that whole “this tastes like grass” problem. Because they do last for a while, this makes it easy to make them batches. Also, supposedly overnight oats can be ready to eat in five hours in case you want to make them in the morning for a healthy snack later in the day. Or in case you partied (read: worked) until late and didn’t get a full eight hours of sleep. Can You Make Overnight Oats with Milk or Water? You can make overnight oats with water or milk or almond milk or oat milk or…I think you get the picture here. Heck, you can even make it with yogurt. Milks (dairy or non-dairy) add more flavor than water will to a basic overnight oats recipe, as will yogurt. Make tomorrow’s breakfast in about a minute with this basic overnight oats recipe! Add rolled oats to Mason jar, ¼ cup at a time (prevents spillage). Add cinnamon, maple syrup, almond milk, and almonds. Add cinnamon stick if desired. Seal with lid, shake, and place in fridge for 8 hours. Increase almond milk to 1 cup if you prefer creamier overnight oats. I love easy to make healthy breakfasts like this! Even better when you can just pull out of the fridge in the morning and its all done! I love how easy overnight oats are! And all the different flavors that you can make assures you’ll never get bored with them! Overnight oats are the best! 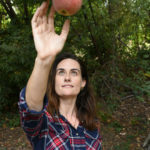 And I’m always one for simple flavors like cinnamon and maple – yum! Waking up to these is a dream come true! They look so good! This looks so delicious and easy, can’t wait to try these easy overnight oats!